Mince garlic in food processor. 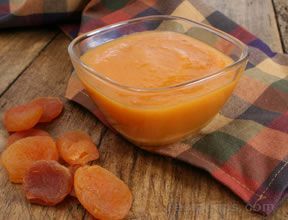 Add the marmalade, mustard, brown sugar, orange zest, and orange juice and process until smooth. 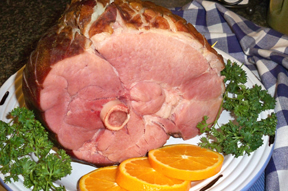 Pour the glaze over ham and bake for 1 hour, until the ham is fully heated through and the glaze is well browned.